There are an abundance of lovely and useful plants that we can plant in our yards and gardens. And there are even more available to us in our surrounding areas. 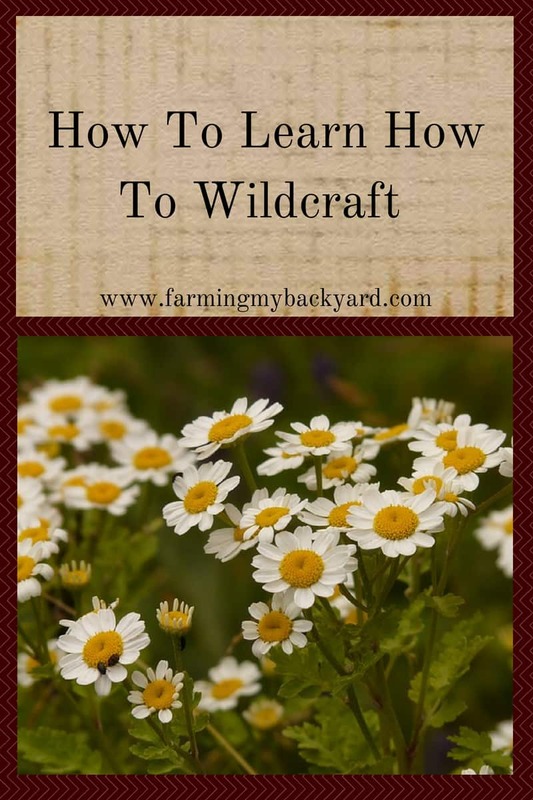 By learning how to wildcraft, you can expand your number of species available to you, even if you have no yard of your own. Many “weeds” are actually quite useful. If you learn how to wildcraft, you can utilize them for food and medicine. But how do you start learning which ones are safe, what they look like, and how to use them? A great way to learn how to wildcraft is to have a mentor. If there is someone you know that gathers local foods and herbs, perhaps they will teach you. There’s nothing like person to person learning! Another great way to learn is with a course. The Herbal Academy has an in depth course called the Botany and Wildcrafting Course that comes with videos, printable pdfs, and a ton of awesome information. The third way to learn how to wildcraft is to teach yourself. While this may seem overwhelming, we actually teach ourselves things all the time. When you go out into your yard and start learning how to use the weeds you already recognizing you are teaching yourself. And when you take walks around your area and then go home and google which plants you saw on you are teaching yourself too! Become familiar with the botanical names for plants. If you check out books on how to identify plants, it can be really helpful to have a basic understanding how how the species and the names are structured. For example, the plant sage is good for drying up milk supply, but not clary sage or russian sage. Clary sage is called Salvia sclarea, russian sage is known as Perovskia atriplicifolia. You would want to know the difference between those and Salvia officinalis, (or common sage), before using it for a specific purpose. Understand what the different parts of plants are. We all know what roots, flowers, seeds, and leaves are, right? Well, when you need to identify a plant it gets a bit more complicated. Each of those parts are made up of parts with their own names and unique features. When you are wildcrafting it can be vitally important to know the sorts of details such as the various leaf shapes, apexes, and bases. There are some classic books on botany that are invaluable resources such as Botany in a Day and How To Identify Plants. I’ve been able to find quite a good selection at my local library. The Botany and Wildcrafting Course from Herbal Academy also includes an entire unit with multiple lessons to help walk you through this. Find out what plants are common to your area. Each region of the world, country, state, and so on have different plants that are common to it. It’s a good idea to start identifying plants that are ubiquitous where you live. It’s also very important to understand which plants may be endangered or are struggling. Here’s a list of 12 at risk plants to avoid this year. It would be terrible to contribute to the destruction of a species simply by not understanding when to wildcraft and when to let it be. United Plant Savers also has a species at risk list that can help you get started. When we moved from Portland, Oregon to San Antonio, Texas, one of the first things I did was check out books from the library on the local plants and ecology. 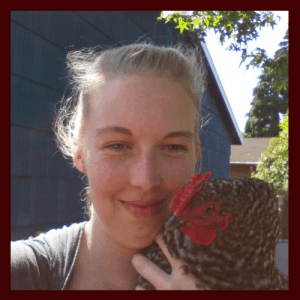 This is vital information when starting a garden or when learning how to wildcraft. Libraries or local university extension offices should have lots of information available for you about the details of your bio-region. Here is a website to look up an extension office for your area. Be familiar with the land where you will harvest. Before you harvest any plants, it’s vital you know where you are taking them from. There may be some lovely plants on the side of the road. However, they won’t be as lovely if they’ve been sprayed with chemicals by the city regularly. It’s also important that you know who owns the land and if you have permission to harvest there. It can be illegal in some areas to harvest certain plants or even to take anything away at all. For example, in Oregon you could only harvest mushrooms from the national forest during certain times of the year and with a permit. You can find out the laws in your state usually with a quick online search. You also don’t want to damage the land through your presence, or even damage yourself by misunderstanding your own limitations or the difficulty of the terrain. Learn how to harvest properly. When you are wildcrafting, you don’t want to damage the plants you are harvesting any more than you absolutely have to. By learning about the plants you are intending to harvest you can sometimes even help them by removing damaged or diseased sections, or by stimulating more growth. You should also learn basic skills such as how to prune or deadhead and take cuttings or roots. For example, when harvesting bark NEVER take it from a live tree, either harvest from a recently fallen tree or from branches that you have pruned. It’s also a good idea to take good notes on when and where you’ve harvested, as well as how much. Plus it’s essential to understand which plants are common to your area and which are at risk. The Botany and Wildcrafting Course includes an entire section on at risk plants, including in depth monograph. It also has a section on urban foraging with monographs for plants commonly found. Learn what to do with your harvest. Once you get your harvested plants home, you’ll want to know what to do with them. Many plants can be dried and used later as herbal teas or infusions. If your library has it, The Medicinal Garden can help you start learning how to use the herbs you grow and gather. There are different methods of drying herbs and other foraged plants. You can dry upside down, on screens, in the oven or in a dehydrator. Here are some tips on drying foods without electricity. Once they’re dried, make teas and infusions when needed. You can also use alcohol, vinegar, or glycerin to make tinctures. Here are more details on how to make tinctures. You can also make your own cough syrups with plants such as elderberry (here’s how! ), and even your own salves with beeswax! Here’s an easy salve recipe you can make with wildcrafted chaparrel. Whether you choose to self teach yourself how to forage using the internet, the library, books, a mentor, or an online course learning how to wildcraft is a valuable skill that can help you save money, appreciate nature, and make your own medicines.